Alzheimer’s disease causes a person’s brain to degenerate and profoundly impacts their memory, emotional management, cognition, and perception. 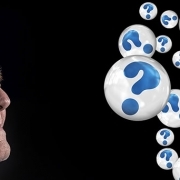 Alzheimer’s and other types of dementia are mainly identified as side effects of old age. That said, there are times when these disorders are thought of as random and can strike any individual regardless of their age. The brain changes associated with Alzheimer’s are triggered by different factors such as genetic predisposition and environmental exposures. The relationship between Alzheimer’s and drug or alcohol abuse is well-known. People who abuse intoxicating substances for a considerable period may bring on dementia or accelerate the neurological damage associated with Alzheimer’s. In some instances, people with Alzheimer’s may increase their alcohol or drug use in response to the onset of the disorder. This only makes matters worse in the long run. While the percentage of people with a substance abuse problem and Alzheimer’s disease is not known, studies reveal that almost 19% of older adults in the US abuse drugs or alcohol-especially prescription medications. Because addiction may potentially worsen the symptoms of Alzheimer’s or all together trigger it, there is a likelihood that it’s the hidden factor in the high rates of diagnosis of Alzheimer’s in this age group. To get a feeling of the extent of this emerging mental crisis, it’s estimated that in 2010, almost 14% to 20% of the general elderly population had one or more mental health or substance abuse disorders. Detecting alcohol or drug addiction in the elderly is not an easy thing since family members consider it an “out of bounds” topic. Also, substance abuse is not the first thing that comes to mind when an older patient visits a physician. But let’s not dismiss the fact that in the 70s and 60s, experimentation was at its peak with the Baby Boomers. Even modest amounts of drugs or alcohol have adverse effects in older patients. This is because their ability to metabolize the substances are significantly reduced as a result of old age. In addition, cognitive impairments make it quite difficult for the elderly to be aware and even forthcoming of their usage and disease with their doctor or caregivers. Accurate diagnosis of dementia, Alzheimer’s included, requires the input of a physician. Medical professionals have the training and ability to recognize the symptoms of the degenerative neurological disorder. Based on these symptoms together with test results measuring cognitive performance and physical health, a clinician will be able to diagnose Alzheimer’s. If substance abuse and Alzheimer’s disease occur simultaneously, the person affected tends to place the blame on one or the other for the psychological, emotional, and behavioral symptoms they have. With time, drug or alcohol abuse worsens the signs of Alzheimer’s and in a lot of cases, dementia is brought on by prolonged and heavy drug use or drinking. There are trained clinicians who are able to identify drug or alcohol addiction even when a person has other mental health disorders. For substance use disorders to be diagnosed, two of the following symptoms have to be reported. And where six symptoms are identified, the disorder is regarded as severe. Recovery from drug or alcohol addiction may be particularly difficult for people who have dementia including Alzheimer’s. These conditions cause damage to a person’s perception, memory, and cognition. And when combined with substance abuse, the symptoms of Alzheimer’s disease exacerbate. However, in spite of the challenges, there are treatment centers that have come up with recovery regimens such as dual diagnosis, to cater to the unique needs of persons with Alzheimer’s. What’s more, these programs have proven successful in many instances.